Play through your issues: have fun, dance, meet people! Also join us for Birthday Cake and the Lighting of the Chanukkah Menorah Candles between the 3:00 and 5:00 games. Share the good news! It may be five years before we celebrate another landmark anniversary again! Choose your time (1pm, 3pm or 5pm) and call 770-434-7488 to Reserve Your Seat! 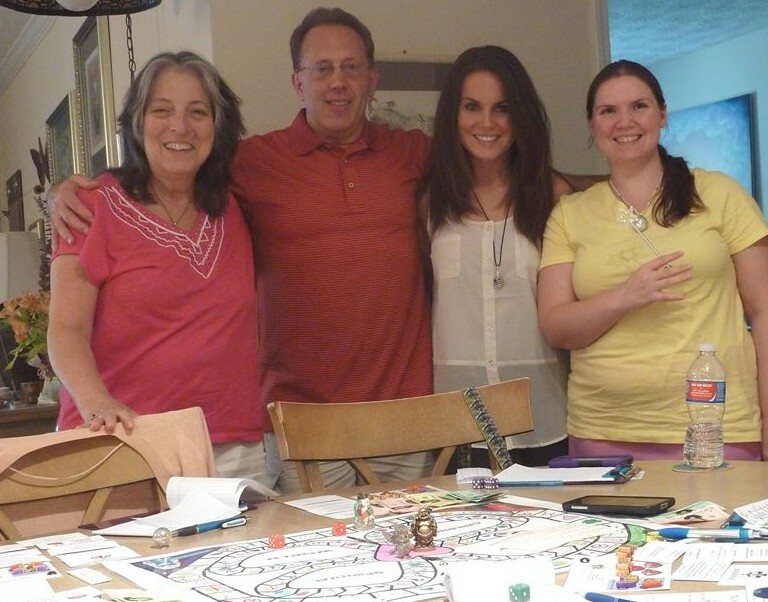 has an opportunity to save $60 on a Private Game that you can host for your friends or family! It can be scheduled and played anytime – weekend, weekday or night – through January 17, 2016. Your place or mine. Must be purchased by Sunday, Dec 6, 2015. Join us for this FREE event @ Phoenix and Dragon Bookstore in Roswell !! To celebrate the 15th anniversary of the Game of Clarity’s creation, Debbie Unterman is hosting a “Taste of Clarity.” This will be a shortened version of the game where you can get the answer to a question in about three moves (approximately a half hour of play). Come get your own Clarity and enjoy the festive game atmosphere! If you miss it, join us on Sunday, December 6th. This game is designed to be a quick way to receive guidance, direction and insights on relationships, career, life purpose, health, money, or anything you choose. This will help you go forward in life more informed, as though you’ve been able to see your future clearly in a crystal ball. And as you are engrossed in the fun of playing, it actually coaches you through any blocks that have stood in your way with compassion! WHERE: At the Phoenix & Dragon “North Annex” which is in the basement of Body Awareness Studio. Go around to the left side of the building. We’ll have snacks, gifts (while supplies last), door prizes and prizes for the winners of each Game. Dec. 5th is the actual date that DeAnna and I sat down to create the vision I’d received a few days earlier on a drive home from Florida. (Read the full story of its creation on my new blog post.) Not only does it fall on a weekend, but it coincides with the yearly holiday party they call the “Celestial Soiree” at Phoenix and Dragon! That means refreshments, sales and events throughout the store including door prizes, live Hawks and Owls, and a chance to have your photo taken with the Wizard of Wonder! (I still have a Polaroid of me sitting on his lap from about 10 years ago). Click here to pre-register and PLAY FREE! 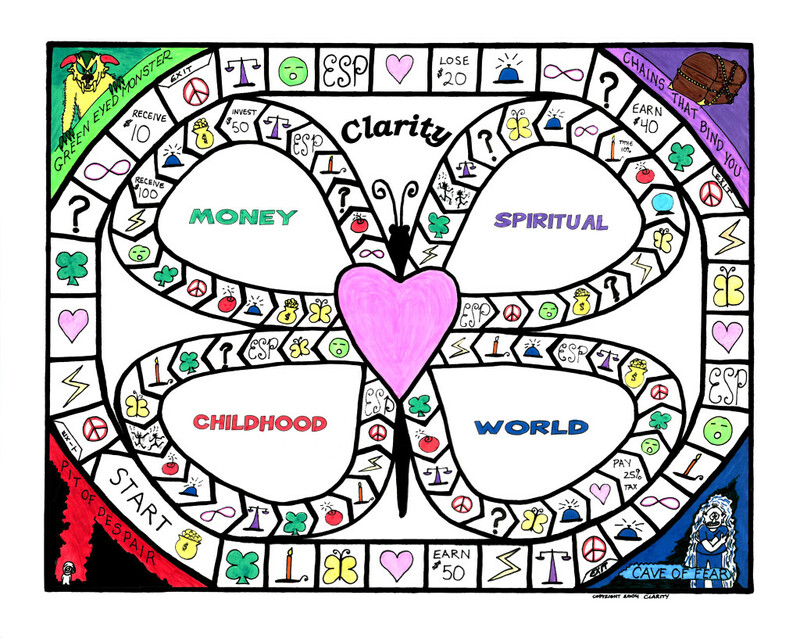 *BONUS: Attendees can purchase a “Family Clarity Game” at your home or mine during this holiday season (through Jan. 17, 2016) for 40% off* or only $120 for up to 6 people!